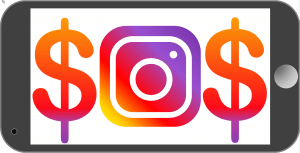 Instagram is a great social media platform for your club to share the feeling of what it’s like to be a member. It’s spontaneous, casual, honest, raw, and live. Just remember: the key rules of effective marketing still apply. Even the cheapest phone has a high-res camera, so there’s no excuse for posting low-res JPEGs. You still need to think about things like lighting, blurriness, jitter (if you’re using Instagram Live) and what’s in the background. Photo editing apps like Snapseed and Screen Master make it easy to edit on the fly. Check out our article on making effective marketing videos for additional insight on how to improve your club’s delivery of visual messaging. There’s a trick to this. You need to post enough images for people to get the feel of your gym or health club — but Instagram may suspend your posting privileges if you post more than 20 times an hour. Worse, your followers will get sick of your posts long before that. Our recommendation: one post/day is plenty, and a couple of posts each week is perfectly reasonable. Think of Instagram not as a series of visual text messages, but as a haiku. Try to say as much as you can in as few images as possible. Trying to raise awareness that not everyone with diabetes is a couch potato? Nothing says that like Instagramming yourself deadlifting a Subaru. You can hear the mic drop. There’s nothing left to say. Your club’s Instagram followers are interested in who you are — not what you’re selling. Brands like REI get this. Go look at their OptOutside campaign. It tells you nothing about the specific products they sell, but the message is clear: if you want to do fun stuff outdoors, have adventures and get gleeful-9-year-old-kid-dirty, REI is definitely where I’m supposed to look for the stuff I need to do that. Are you the small-box HIIT club for serious athletes? The spin studio for wannabe Ironman finishers? The pet-friendly yoga studio on the corner? The big gym with the small-gym personality? How would your ideal member or client describe your fitness business? The best Instagrams are often completely spontaneous. A patient gave one of our clients a gorgeous box of chocolates. Definitely Instagram-worthy, so we seized the moment! Instagram thrives on “day in the life” images and videos of real people doing real things. Train your eye to notice natural moments in the lives of your customers and your club that speak to who your brand really is. When prospects engage with your posts, engage them back. If they’re “getting” what your brand is about and doing something related — even if it’s not with your products or services, be a part of that story. You may be surprised at how effective this is. Likes, conversations, and comments all help build a sense of tribe. Several studies in the last half-dozen years have shown that tribalism is one of the strongest reinforcers of brand loyalty and identity. And members of your gym’s tribe will do most of your marketing for you. This can be anything from a picture of a heartfelt email from a thankful customer, to an image of a just-unwrapped product and a customer’s glowing review, to unposed photos of members achieving their fitness or wellness goals using your products and services. Happy moments occur on their own, and they’re contagious. Share them just as they happened. P.S. : Remember to get your member’s explicit permission before posting their picture or full name. And never post a child’s image or name without explicit parental permission. No, a boilerplate photo waiver in your club membership agreement is not sufficient. When prospects take a particularly effective Instagram post viral, try not to fret too much about where it goes. Your message will evolve as it migrates, but that’s what happens when something becomes a meme. In fact, studies of social media communication have found that this mutation of the original message is actually necessary to keep a meme going. That said — if your post becomes an object of ridicule, take a closer look at what went wrong. They posted memes like these and blog posts and comments like these. Yep, it went viral all right — as the greatest scam since 3-card monte. Great, so your yoga studio has a bunch of new eco-cotton mats plus a new lineup of straps and yoga blocks for sale. Are product photos in isolation really Instagram-friendly? How about one really effective image of a student performing a challenging asana using the gear? One of the worst things you can do on Instagram is to post motivating quotes you copied from somewhere else. First of all, they weren’t your quotes. They weren’t even your customer’s quotes. All that would be OK if prospective customers loved them and engaged with them. But they don’t. So you’ve invested time and often money in posts that no one cares about. Every post has to give people a reason to connect and engage, or it’s a waste of time. Statistically, three to six hashtags generally delivers the best engagement from real people vs spammers or people who’re just hoping to get follows in exchange. It’s also a good idea to consistently use a small group of hashtags that reflect your business focus. Don’t jump around between popular or random hashtags (#amirite #ftw) depending on your mood that day. Part of getting your message to go viral is consistency. Instagram’s just one piece of your overall marketing plan. By itself, it does very little to bring new members to your door. Keep an eye on your engagement statistics. How often are people sharing your stories, initiating their own brand stories or responding with them to your posts, adding hashtags, and posting new content to threads? Then, ask yourself how you’re tying this behavior to sales conversion. Having trouble connecting those dots? That’s when you need to get outside help.